Lease, rent or buy Ricoh MP W Large Format Printers at some of the lowest prices available on the web. Maine Plc offers you the complete range of Ricoh A1 Printers All Models. Tired of fussing with multiple devices to get the job done? Now you can print, copy and scan quickly and easily with the 3-in-1 RICOH MP CW2200SP. This versatile MFP captures, saves and shares virtually any large-format technical document – making it a breeze to present design plans, documents, signage and more in style. 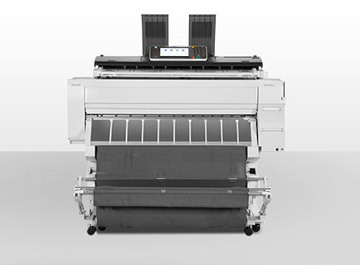 Produce clear, crisp full-color drawings, text, line-art, graphics and photographs thanks to the 600x600 dpi copy-and-scan resolution and 1200x1200 dpi print resolution of the CW2200SP. Please contact us for a no obligation product recommendation.